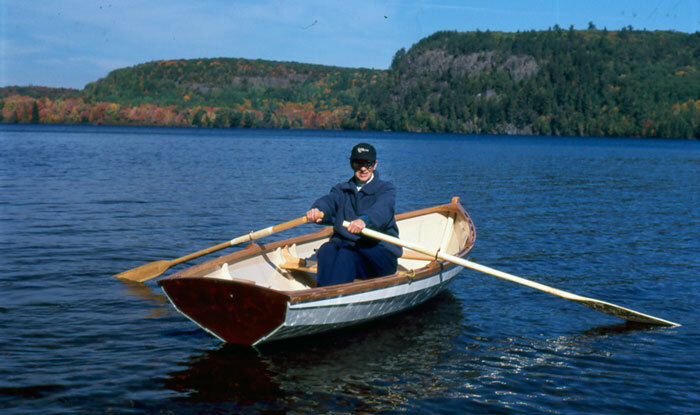 Raimo Repo of Ontario built JOY, a 13' Chamberlain dory skiff, from lines drawn by the late Mr. John Gardner. He bought the plans from the Mystic Seaport Museum after attending the WoodenBoat Show at Mystic in the late 1990s. 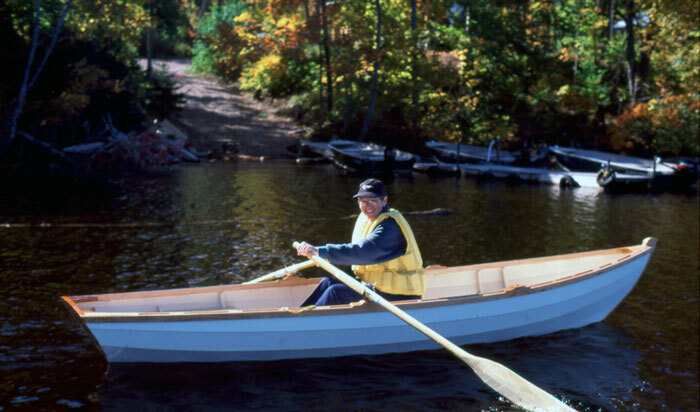 He built this boat for his wife, Joyce, to use at their Camp Kuha Wilderness Resort in Bruce Mines, Ontario. 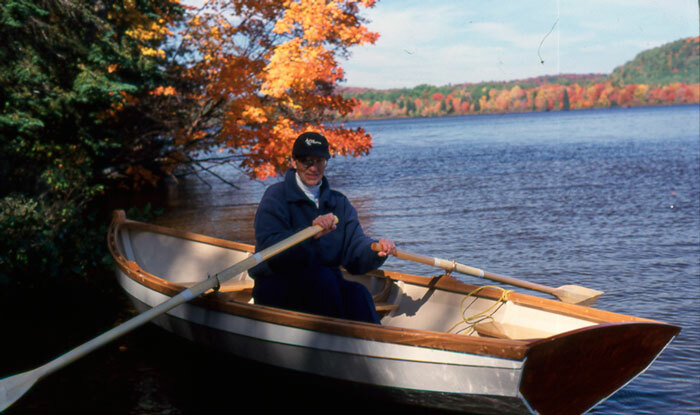 She can just row out from our lodge and fish for walleye on Tunnel Lake in the Mississagi Valley area just north of Lake Huron. Joyce is pictured in the boat and the name JOY came in part from her name, the joy of rowing and the joy of the Lord.